It seems like comic books are always making changes to superheroes and supervillains, from the costumes to their powers. Most of these changes come from careful and thought-out ideas developed by writers and artists, but some of the biggest changes in comics weren't intended to be done at all. They were actually started by someone making a joke which someone else took too seriously. Here are five times when a change was actually just goofing around. In 1993's "Fatal Attractions" storyline, the X-Men fought Magneto, who disabled the world's electrical systems with an electromagnetic pulse. When Magneto engaged the X-Men in battle, and was stabbed by Wolverine's claws, Magneto used his powers to tear every molecule of indestructible adamantium out of Wolverine's skeleton. 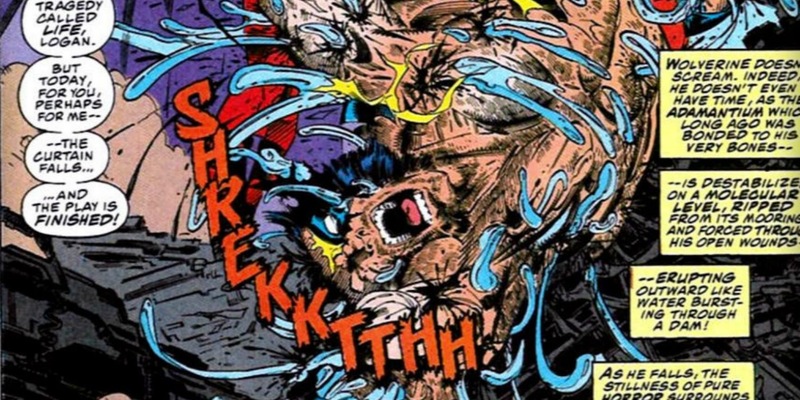 That left Wolverine vulnerable for years until Apocalypse bonded his skeleton again years later. According to Peter David, the idea of Magneto pulling out Wolverine's adamantium came from the plotting of the "X-Cutioner's Song" crossover. He had sarcastically suggested that Wolverine wouldn't be a threat to Magneto because the villain could just rip out his skeleton. He didn't expect the other writers to take him seriously, and he argued they couldn't leave Wolverine as just a pile of skin on the floor. 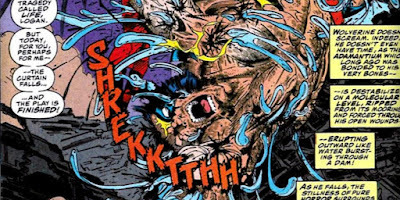 The writers decided they could have Magneto remove Wolverine's adamantium, and the rest was history. 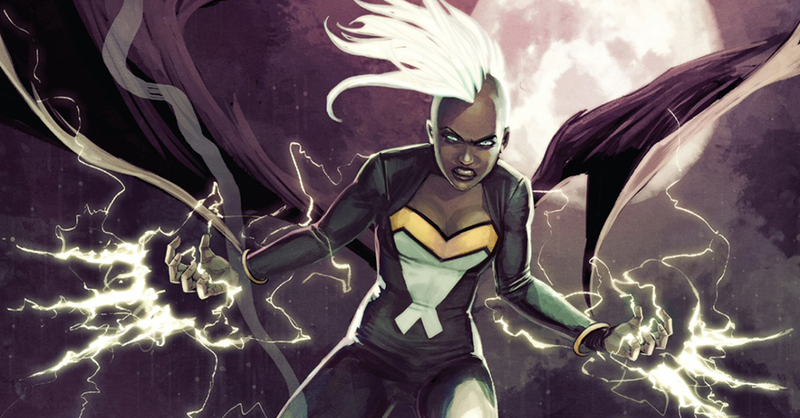 While Storm has always been known for her long, flowing white hair and body-hugging black outfit, she's just as famous for her 1980s punk mohawk and leather outfit. It turned out that, much like the other entries, her mohawk was just a gag that went too far. In The Uncanny X-Men #173, writer Chris Claremont and artist Paul Smith were trying to create a new look for Storm. Smith was creating feminine designs, and included a drawing of her as Mister T, just to be funny. It turned out X-Men editor Louise Simonson liked the Mister T design. Smith tried to explain it was just a joke, but he was leaving the book in a couple issues, so they ignored him, he left, and the mohawk stayed. 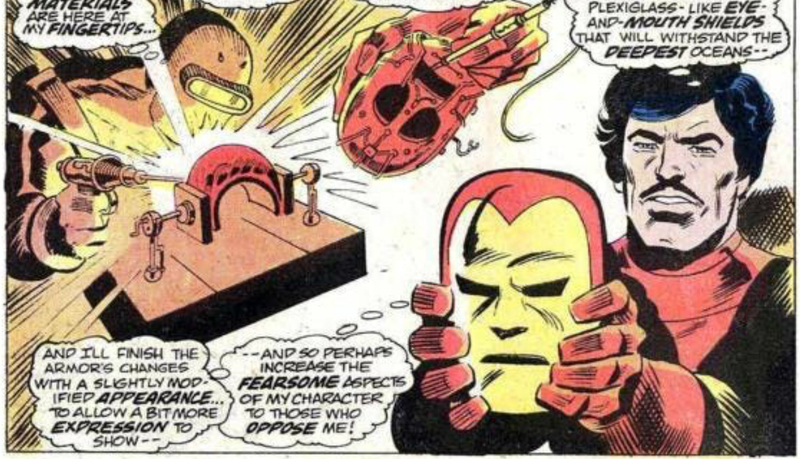 The face of Iron Man with its slits for the eyes and mouth is one of the most iconic masks in comics, which is why it caught readers by surprise in 1974 when Iron Man's mask suddenly had an indentation for his nose in Iron Man #68. Even in the pages, some characters commented on how silly the nose looked, and the nose went away a year later. It turned out the whole thing was just an idle joke from Stan Lee. While looking over some artwork on the latest Iron Man, Lee asked, "Shouldn't there be a nose?" He apparently just meant that the mask was drawn so tightly on Tony Stark's face that there was no room for his nose, but the Marvel staff took it as a decree that Iron Man's mask needed a nose. It didn't take long before the nose was taken out, never to return. In 1980, the critically-acclaimed and influential "Dark Phoenix Saga" started in Uncanny X-Men #129 by Chris Claremont and John Byrne. In the story arc, Jean Grey gained cosmic powers and became the Phoenix, but was so powerful that she consumed a star, killing billions of alien beings. 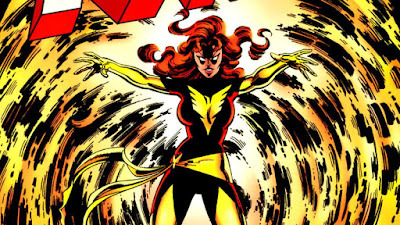 Having become Dark Phoenix, she committed suicide. Her death was a major turning point in comics, but started as an argument between the creators and editors. In the original ending for "Dark Phoenix," Jean Grey would have been forgiven and permanently depowered, but editor-in-chief Jim Shooter was apparently outraged by the lack of accountability for the act of genocide. With all sides unable to decide on how to end the story, Claremont suggested they just kill Jean Grey. He was actually bluffing, hoping that Shooter would object to killing such a major character, but Shooter called the bluff and ordered her death. 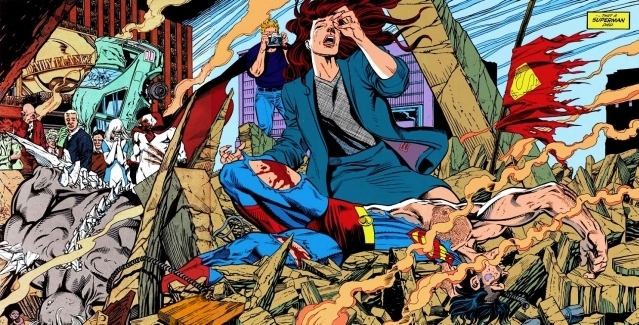 In 1992, DC released the epic storyline "The Death of Superman," where Superman fought the immensely powerful supervillain Doomsday until they both died on the streets of Metropolis in Superman #75 in 1993. The story never would've happened if it hadn't been for the TV show Lois and Clark and an idle joke. In 1992, DC had planned to have Lois Lane and Clark Kent marry, but ABC was developing a wedding episode in Lois and Clark: The New Adventures of Superman. DC agreed to put the comic book marriage on hold until Lois and Clark reached its wedding episode. Without the planned wedding, DC was struggling to come up with ideas to replace it. At the end of one meeting, Adventures of Superman writer Jerry Ordway suggested, jokingly, "Let's just kill 'im." The joke became a running gag in story meetings, but in desperation, they decided to actually do it. Which was the best idea and which should have stayed a joke?